Tuition covers only 66% of the actual cost for each of the student’s education. The school intentionally sets tuition lower than cost, with two goals in mind. That a faith-based education will be affordable to a broader section of families in the community. That school families, alumni, parents of alumni, grandparents and parishioners will help make up this gap as circumstances and generosity allow. The largest source of non-tuition income is the Annual Fund. The Annual Fund Giving Program is a yearly effort to get parents, grandparents, alumni, friends and parishioners to make a financial contribution to the school. Although tuition is still the primary source of revenue for the school, tuition alone does not cover the full cost of providing outstanding education and retaining our creative and dedicated faculty. This fund drive kicks off in the fall with a pledge drive. Throughout the school year, Annual Fund money is received from parents, grandparents, alumni, friends, faculty, staff, business and corporations. Every child, every family at St. Ignatius School benefits from a successful Annual Fund campaign. Why not just raise the tuition? In keeping with our commitment to the vision of St. Ignatius, our school charges a tuition less than the true cost of education to all students. This results in a deficit, which is made up through gifts to the Annual Fund and other fundraising efforts. If tuition were raised to the actual cost of education, this approach would place too large of a burden on parents, and would make it impossible for many of our children to have the opportunity to receive an education at St. Ignatius. Another reason for not raising tuition to actual cost is that there would be no benefit to parents at income tax time – a gift to St. Ignatius through the Annual Fund may be a tax benefit! Tuition is the primary source of revenue at SI; however, tuition alone does not cover the full cost of providing our outstanding program and retaining our creative and dedicated faculty. Tuition pays for the basics, and the Annual Fund pays for the extras that distinguish a St. Ignatius education. As parents, we have made a commitment to a high-quality, independent education for our children, and that commitment has a cost. Is there a tax advantage if I make a gift? All contributions are fully tax deductible as charitable gifts to the extent provided by law. 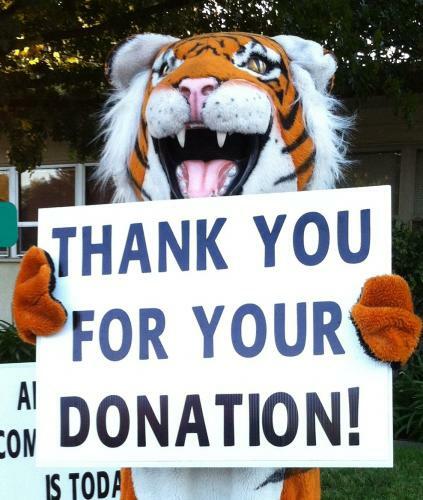 Donations to the Annual Fund are tax deductible, tuition is not. Many companies will match your gift to St. Ignatius School up to a certain level – some as high as triple matches! Matching Gift contributions also count toward your own giving level to SI. Please check with your employer’s human resources office for details on their Matching Gift program and matching gift forms. You may have your gift matched even if you have already made your contribution to SI! Please check with your employer’s human resources office to determine if your company does match! St. Ignatius School receives NO State or Federal tax dollars. Gifts to the Annual Fund are fully tax deductible as charitable gifts to the extent provided by law. Saint Ignatius recognized the power and responsibility of education. Pope Francis has said the mission of schools is to develop a sense of truth, of what is good and beautiful. The St. Ignatius Parent Club is the primary fundraising organization of the school. It supports the spiritual, social and education forces of the home and school in a program of Catholic education. Parent Club consists of all families with students enrolled in TK through 8th grade. Parent Club meets the 2nd Tuesday of each month in Extended at 6:30 PM. Please join us! The Advisory Council works with the administrator and the pastor to formulate school policy. The members of the Council work in the areas of long-range planning, development and major funding, facilities, Catholic identity, and marketing. With the pastor and the administrator, they establish the annual budget. The Council endeavors to create better understanding and support of Catholic education. The Advisory Council meets on the first Thursday of each month at 6:30 PM in the Faculty Room. We have created a Facebook page just for grandparents of students at St. Ignatius. News, events and photos are posted regularly. Click on the link below to join the group. You may make a donation to the annual fund here. To meet our needs, we invite all of our supporters ~ Alumni, Parents – Current and Past, and Friends ~ to contribute to the St. Ignatius School Annual Fund. Your gift helps to covers the shortfall between tuition charged and the full cost of educating each student. Please consider making a gift to the St. Ignatius School Annual Fund this year. Every gift ~ no matter what size ~ makes a difference in the lives of our students every day.